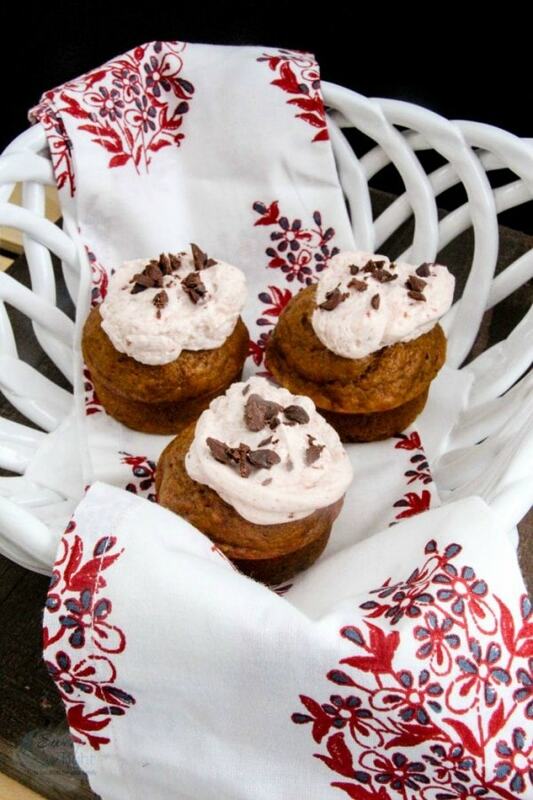 Pumpkin muffins with cranberry buttercream frosting. If they don’t scream fall, I don’t know what does. Here’s a recipe to make all throughout the pumpkin season and into the holidays. This post contains affiliate links. 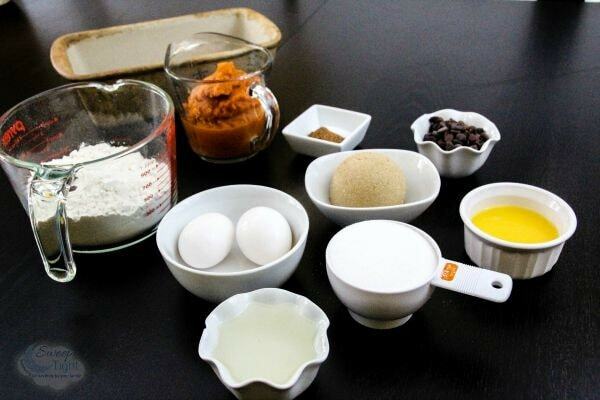 With the stand mixer set on low add the flour mixture, a little at a time until it is all incorporated. Remove bowl from stand mixer and using a rubber spatula, scrape down sides. Do not overmix. Check to see if muffins are done by inserting a toothpick in the center of a muffin. If it comes out clean muffins are ready. Remove from oven and allow muffins to cool. 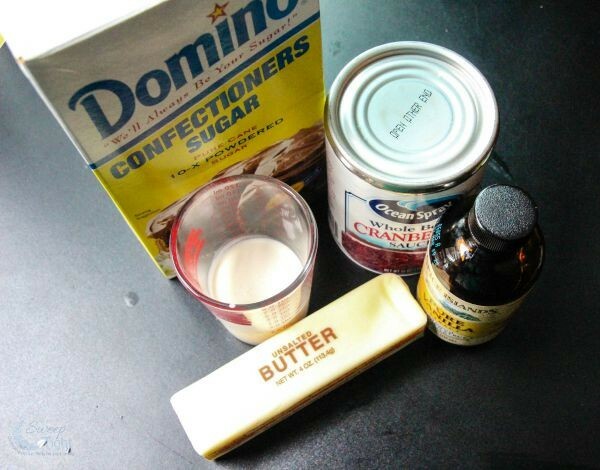 In a the bowl of a stand mixer fitted with the whisk attachment add butter, salt, and vanilla. Mix until peaks form. After cranberry jelly is cool add a little at a time into the butter mixture until it is all added. We have many more pumpkin recipes for you to make, too! Do you like pumpkin muffins? Yes, this recipe does scream FALL! Looks very yummy. MMM I wish it cool down a little so I can bake some. I love pumpkin muffins and these look fantastic! I can’t wait to see how the cranberry Jelly tastes in this recipe! Thanks for sharing! I love pumpkin muffins. I love they way they smell too when they are baking it reminds me of fall. I do like pumpkin muffins. What a wonderful fall treat. Thank you for sharing this recipe. These look amazing. But I’ve never heard of pumpkin oil?! I’m intrigued. 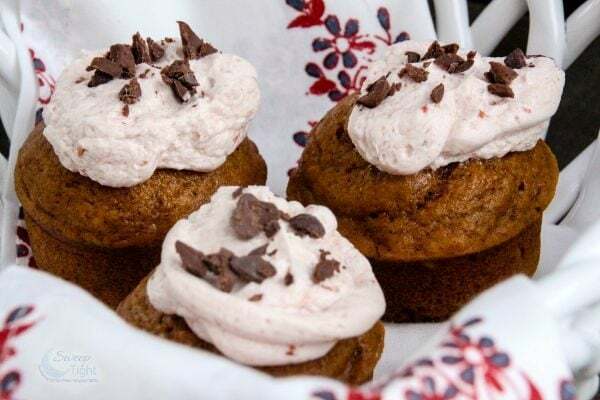 You have incredible recipes on your blog and I love Muffins in the morning with a nice hot cup of coffee and these muffins look so delicious and I would love to try them! 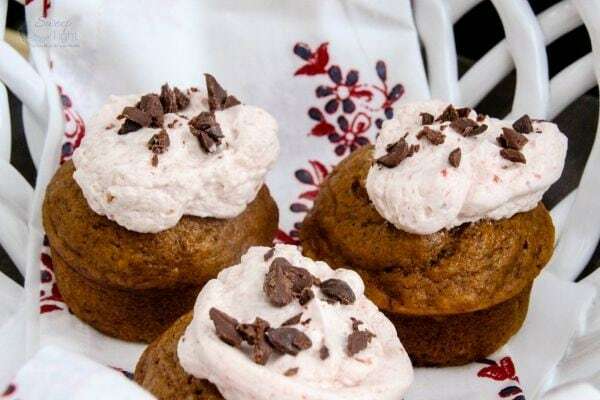 This recipe is just in time for the holidays and we love pumpkin and chocolate so together everyone will like baking these for the family. We’re still having summer temps here in Colorado but I’m ready for fall flavors. What a great recipe for fall. I love that is has a very different type of frosting. 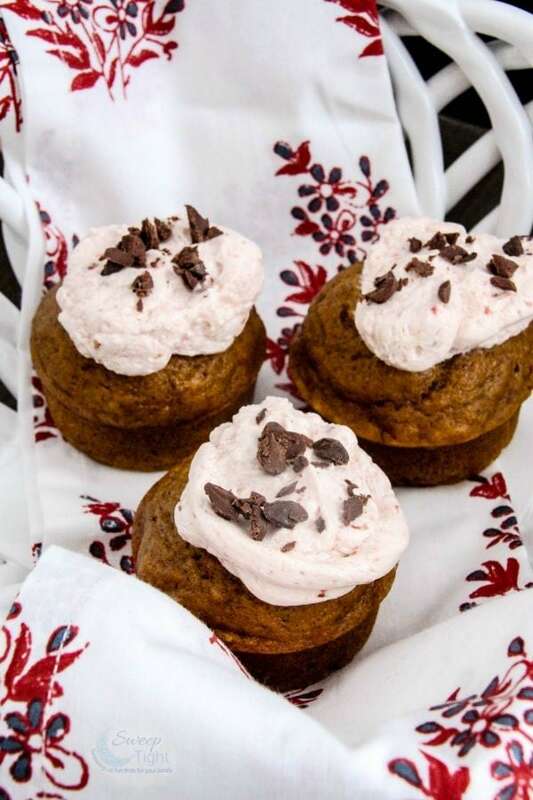 Oh my goodness, these Chocolate chip Pumpkin Muffins look so delicious and have everything you could hope for – Butter Cream, Chocolate and Pumpkin together – Yum. With the holidays coming up (beginning with the AUTUMN holidays of Halloween and Thanksgiving and these muffins have it ALL : Pumpkin, Chocolate, Cranberries… perfect for celebrating the melange of holiday tastes and traditions ~ definitely perfect for bringing to the office or I like to bake for soup kitchens and the nurses/ other staff & volunteers at the Cancer ward where they have taken such good care of me! Thanks! This recipe sounds and looks delicious. Pinning this so I can try it next weekend. Hoping mine come out as good as yours look! I can’t wait to make this. Pumpkin and cranberry, what’s not to like.